Do holidays stress you out? They do for most of us! From dealing with dysfunctional family dynamics to last-minute Christmas shopping, it’s easy to get overwhelmed. When that happens, you go into fight or flight mode. Your heart pumps more oxygen to your body. You breathe faster. And adrenaline takes over your body. If you were being chased by a bear, that would be fine, right? But…you aren’t! It’s not too late, though, to stop surviving and start thriving. How? Here are some survival tips to inspire you. Holiday Survival Tip #1: Be present. It’s easy to focus more on your to-do list than it is to be fully present. If you want to not only get through the holidays but to actually enjoy them, slow down and live moment by moment. So when you’re drinking hot chocolate with your kids, grandkids, or friends, savor your time together. Breathe in deeply, taste the molten chocolate, and listen to your loved ones talk. Count up to five as you slowly inhale, and count down as you exhale. Write down a Bible verse and meditate on it throughout the day. Holiday Survival Tip #2: Face your fears. Let’s face it: Holidays can bring out our fears. Fear is something we all struggle with from time to time. Look at these three steps you can take to overcome your fears. First, write down a list of everything you’re anxious about. Then look over each fear and see if it’s something that is productive or unproductive. A productive fear is one you can do something about right now. An unproductive fear, though, is something that you can’t do anything about. Second, develop a plan to deal with productive fears. When you go to a party, do you worry no one will talk to you? If so, think of questions you can ask other people at the party. After all, people love to talk about themselves! Or if you’re worried about your finances, sit down with your spouse or a friend to plan a budget. No money for gifts? No worries! Think of a thoughtful way to show someone you love them that doesn’t involve much money—like baked goods. Third, interrupt unproductive fears. Maybe Christmas brings up a fear of dying. Or you worry a disaster—such as an earthquake or fire—will destroy your home. These are all what-if fears that you can’t do anything about. Interrupt fearful thoughts by exercising, writing in a journal, thinking about a fond memory, listening to music, talking to a friend, or recalling a Bible verse. Holiday Survival Tip #3: Take care of yourself. Does putting others first come easy for you? If so, you may be neglecting another important person—you! Don’t toss aside healthy eating and sleeping habits because you’re too busy. Be willing to adjust your to-do list to take care of your own needs. Don’t feel guilty for relaxing. Look for tasks to delegate. Holiday Survival Tip #4: Let go of unrealistic expectations. From family pictures where everyone is smiling to making sure Christmas dinner is cooked just right, you feel tremendous pressure to have everything perfect. Surrender the need to seek approval from others—it’ll never happen anyways. Instead, learn to say “no” to demanding people and set boundaries. If you’re the one who puts unrealistic expectations on your family and friends, take responsibility for your part and get to the root of why you struggle in this area. No matter what…expect bad to happen! Yes. That’s right! Because no matter how much you want your family to get along, realize that they won’t change just because it’s the holidays. Be prepared ahead of time to know how to respond to arguments, challenges, and opposition. So when you’re with family and things start to get heated, quickly excuse yourself and go outside for a long walk. Responding calmly to a difficult situation will help you maintain your sanity. Holiday Survival Tip #5: Know you’re not alone. Truth be told, one of the biggest challenges you’ll ever have to face during the holidays is loneliness. 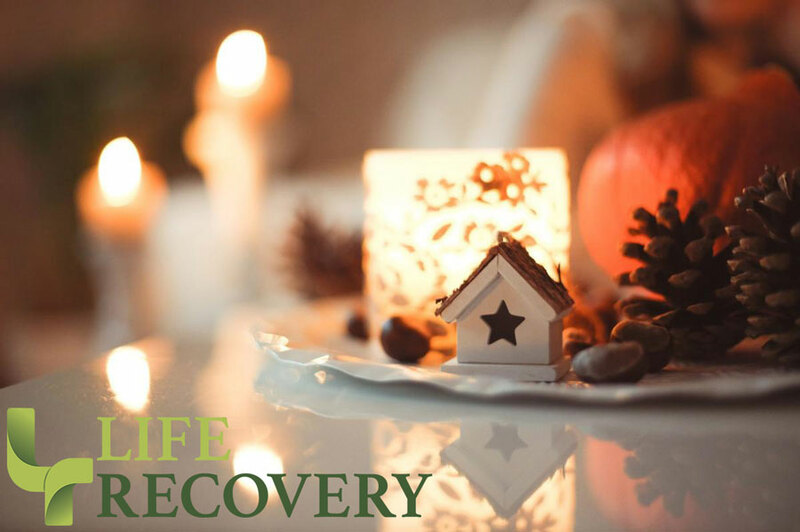 If your loved one has recently passed away or you’re going through a divorce, facing Christmas alone for the first time can be daunting. Keep in mind, though, that you’re not really alone. Reach out and find a community to connect with; it’s easier than you think! Connect with a Life Recovery Group. Go to a local church. Connect with a neighbor by taking cookies or a small gift. This Christmas season might seem frantic, but you don’t have to let stress control you if you follow these survival tips. Use this as a time to allow the presence of God to bring you comfort and joy. Turn to Him and talk to the Lord whenever you’re feeling overwhelmed. And spend time in God’s Word. After all, He is with you and loves you so much!